Apple tart (large) - home cooked food delivered. 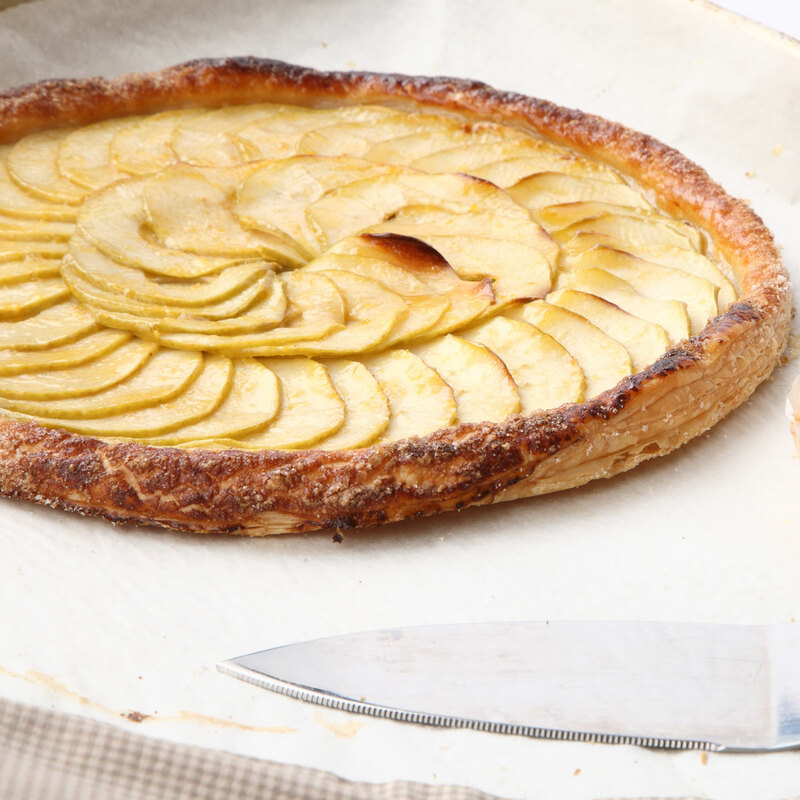 The larger version of our apple tart recipe – thinly sliced apple layers covered in light puff pastry and brushed with apricot jam. Our chefs have done the cooking; all that’s left to you are the tough decisions: hot or cold, cream or ice cream? Puff pastry (GLUTEN), sugar, apricot jam, MILK, butter (MILK) and apples.